I have exported from iTunes the XML of a playlist followed on Apple Music (I have an active subscription Apple Music). 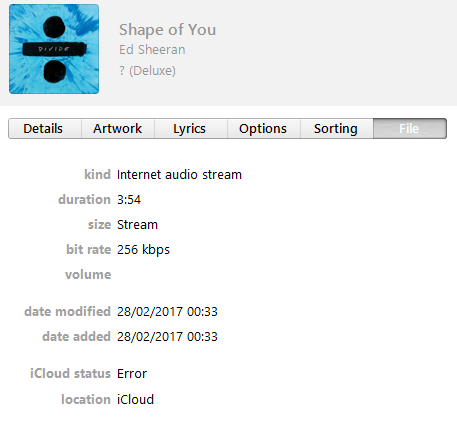 The issue is the kind "internet audio stream" instead of "Apple Music AAC audio file" so that's probably why the "iCloud" status is in error. So how can I do to be able to play again this Playlist ? Make iTunes playlist track changes in iPhone library?